Are you trying to figure out if Linux is a viable alternative to the Microsoft ecosystem? Linux has already taken over a large amount of the business server market, but is it viable as a desktop alternative? With Linux in better shape than ever, there isn't a better time to try it out. The numbers even become more interesting when you look at the popularity in the top ranking websites. You are probably wondering what benefits switching to the underdog operating system can bring. This post was made to show you just that. Keep reading to learn the advantages of Linux over Windows and how it can help improve your business. Software costs a lot of money. Wouldn't it be great if there were free alternatives available? With Linux, that is not only possible but encouraged. It is one of the greatest sources of free and open source software available today. The operating system itself is free. How much is your business spending on Windows 10 licenses? That isn't the only savings. Here are a few typical applications that will run your bill up. Adobe Photoshop is the defacto standard for graphics work. It isn't the only option available though. GIMP is a full-featured editing application that has all the same features as Photoshop. The workflow will be different, but once learned you could accomplish anything in it that you could achieve in any editing software. Microsoft Office and Windows are a common pairing. You won't get the desktop version of Office with Linux though. For that, you should check out Libre Office. Libre Office is the Linux equivalent and contains the same suite of applications Microsoft Office provides. Security is a concern with any business. This concern has a lot of companies looking for other options so they can keep their business safe from threats that would cost them money. Windows is widespread, and that makes it the center of attention. Most of the viruses created explicitly target it. For Linux users, it isn't as big of an issue. Most viruses and malware require you to execute .exe programs on your computer. Linux doesn't run these and can't install these programs. Linux also is designed secure out of the box. Unless you configure it securely, Windows allows default users to do anything from the beginning. With the Linux security model, the default user is required to enter their password anytime something essential needs to happen. This system makes securing a Linux system an easier task than a Windows computer. The days of desktop software dominating the market are dwindling. Today, you can find replacements on the web for almost every desktop software available. Web-based software comes with some advantages. With it, you aren't tied to your operating system since you only need a web browser to access the software. You can choose your environment, and location of choice to get your work done. Here are some alternatives you can try for your business. Microsoft Office is a staple in the business world, but it isn't the only player in the game. Google has its office suite available called Google Docs. It is a web-based document suite that has close to all of the functions Office provides for word processing, spreadsheets, and creating presentation slides. If you are set on Microsoft Office though, even Microsoft offers a web version of their software. No desktop software is required. File servers have been a staple of businesses for a long time now. There is a problem with them though. You need to be at the office to access them. When you move to a cloud storage solution like Dropbox or Google Drive, you can access your files anywhere. Do you have security concerns? If you are in healthcare or another business with more privacy issues, then you have more laws and regulations to comply with. With Linux, you can set up a private cloud server for people to use that you host onsite. NextCloud is a piece of software that provides cloud capabilities hosted on your servers. Doing this allows you to secure your data based on whatever laws apply to you. Isn't it a great feeling when you buy a new computer, get it home, and get it running without any problems? The problem here is you are getting an out of the box store experience, and that doesn't typically last with a Windows workstation. A properly configured Linux desktop will run for years. There was a time where Linux had trouble supporting hardware. This hardware trouble is mostly not a concern anymore. 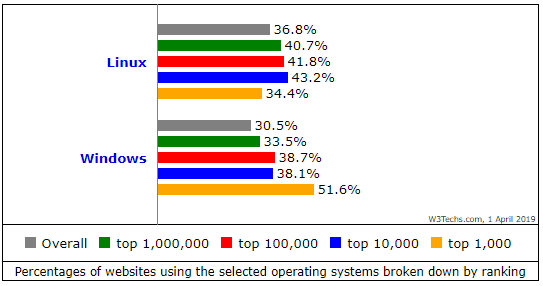 Linux out of the box supports more hardware than Windows does. It has this support because of the Linux kernel. The Linux kernel is what makes everything tick under the hood. Windows has its own, but it does not include a lot of hardware support built in. It needs to go out and grab the software it needs. The Linux kernel, on the other hand, has these drivers built in and supported from the beginning. It makes getting it up and running on a variety of hardware configurations less of a hassle than with Windows. This support works excellent in conference settings where you may not know what to expect. Click here for more information about venues that you could be presenting in. 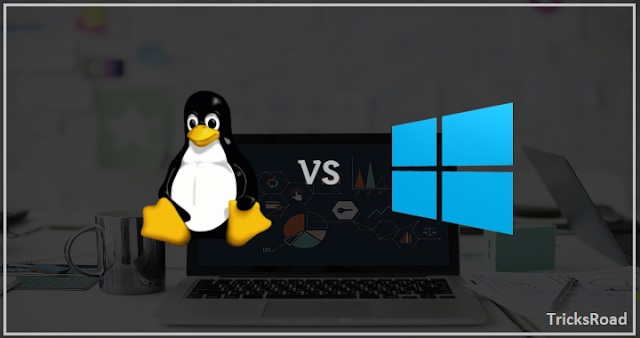 Now that you see a lot of the advantages of Linux over Windows its time for you to make your choice. Do you make the jump and experiment with something new, or stick with what you have been doing? There are enough potential upsides to give it serious thought. If you aren't ready to commit to a full workstation test yet, then put a copy of Linux on a USB drive and take it for a test run before committing to anything. Are you looking for more business advice? Check out our business section for more great ideas you can use for your business.